Thousands of pieces of top quality china for any banqueting event. Classically styled china perfect for weddings and fine dining occasions. Stunning range of patterned china for your fine dining banquet event. Stunning fine china coupe plate hire for premium dining & banqueting events. 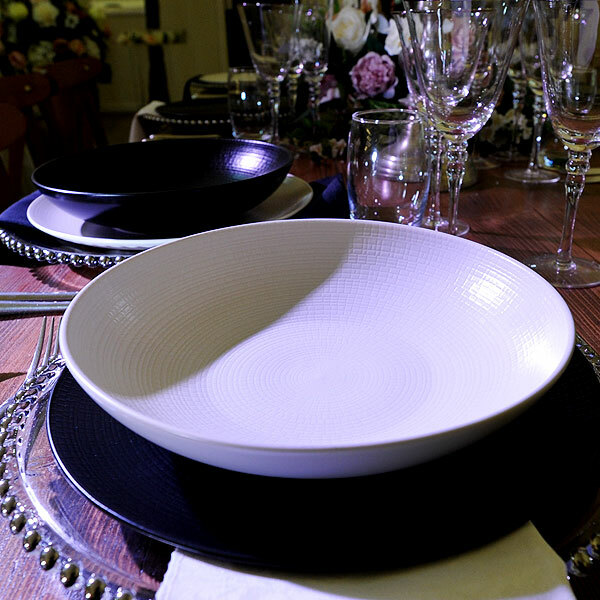 Stunning patterned, textured crockery brings unique style to your dining event. Modern & contemporary event crockery for your special occasion. Ramekins, tasting bowls, butter dishes...the list is endless! 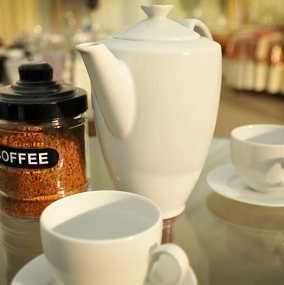 Great range of tea & coffee pots for hire for small or large event dining. 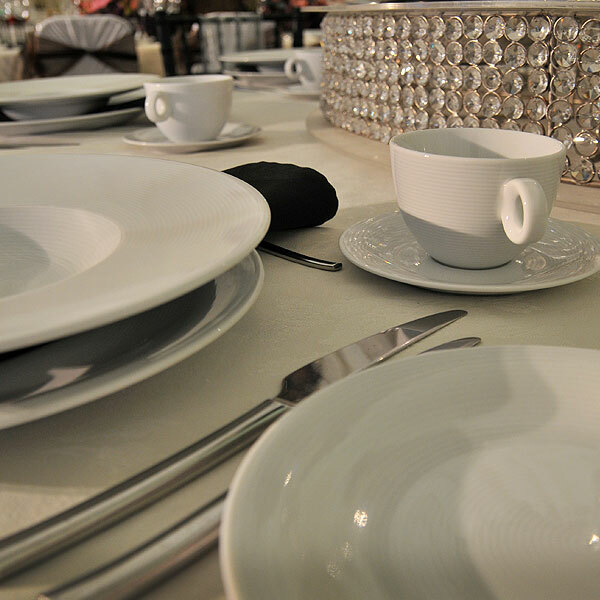 Whatever you need for your event when it comes to high quality celebration china hire, you can be sure to find it here. Event Hire UK boasts a stunning selection of all types of china for hire, perfect for your wedding, corporate hospitality function or any other event for which you need to hire china UK. In the busy lead up to an event, time is precious. Therefore, aim to hire all the chinaware products you need for event catering from the same location - this way, you'll save time during the ordering process, the delivery and the collection process, and therefore minimise hassle and headache at the same time. Major vintage china hire companies such as Event Hire UK are able to provide you with a valuable one stop shop facility from where you hire crockery and china down to the final item in the quantities you need. This also means that all your china will be matching which again is a critical factor during your event planning process. So, why complicate things? 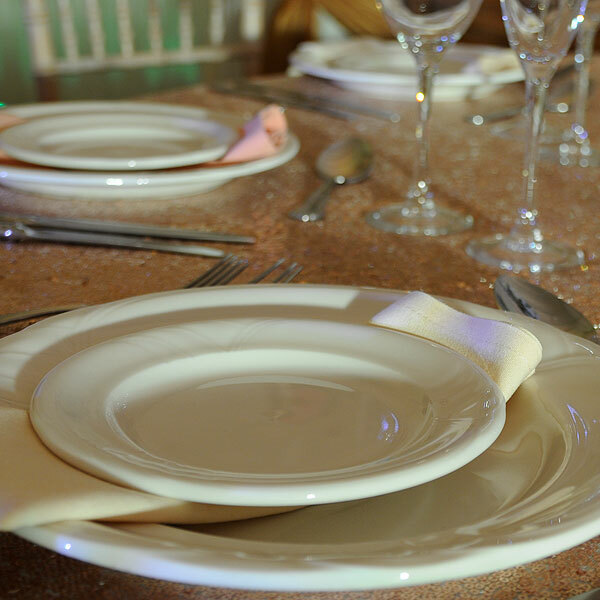 The condition of your crockery hire products, together with cutlery hire and glassware hire, is of paramount importance above most other hire products due primarily to the fact that your guests are eating and drinking from this range of products. Therefore, it is important that you get this right. When you do get it right, your guests will comment on the quality of the food that was served on your crockery hire products (hopefully good food!). Get it wrong, and they will notice and comment on stained and chipped crockery rather than on the food and your event as a whole, which is not the impression that you want them to leave with. 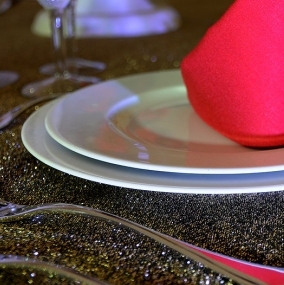 Put simply, therefore, it is vital that you hire crockery from a reputable event hire specialist such as Event Hire UK. 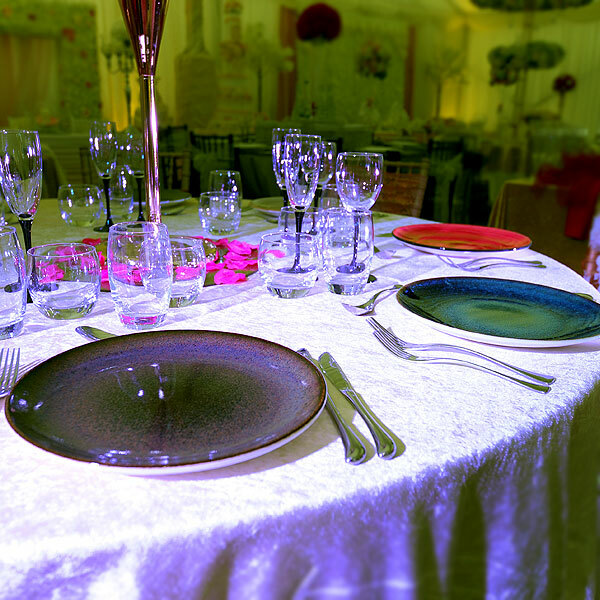 As a nationwide company, our reputation is key to our success and we have built up our existing excellent reputation by supplying top quality china hire products to the events, hotel, wedding and hospitality industries since 2005. In the same way, we want to continue developing our reputation and providing excellence to all our clients by offering immaculately presented china hire products for their events. When china products arrive back in depot after an event, all the items are checked and counted, thoroughly washed and then hygienically packaged ready for the next event. This means that you rest assured that when you rent china from Event Hire, it won’t arrive with you stained, chipped or cracked, but will arrive with you in beautiful condition and table ready, ready for immediate use at your event. Cheap crockery it is not. However, you can benefit from extensive ranges, condition, availability and service at competitive prices. Many companies that hire crockery offer you a range of white china for your use. Come the summer months, and you’ll find that unless you have booked it months in advance, availability will be a problem. Well, not at Event Hire UK. As you would expect from a nationwide event hire specialist, we offer different ranges of crockery for hire including Lubiana fine porcelain for hire, Royal Doulton Silhouette white porcelain for hire, hire Zanzi bowls and cups together with an extensive range of white china hire which is perfect for any event or occasion. We also have a premier range of crockery which provides event organisers with even more choice and a premium crockery hire product which is perfect for wedding breakfasts and fine dining occasions. By the same token, we have hundreds of pieces (and in many cases, thousands) available throughout the year to provide you with a combination of outstanding choice of range, excellent availability even at peak times, and superb condition. With our professional cutlery, crockery and glassware washing machines in-depot, we are able to offer a return dirty service whereby our clients can send us back their used items for washing, alleviating the need for them to do this. 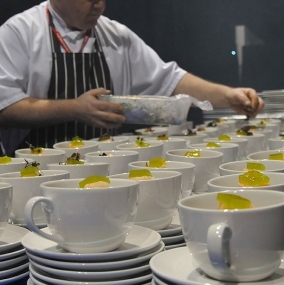 At the same time, for larger scale events, if you need additional back of house staff to manage the sheer quantity of crockery hire products in use, then Event Hire UK can also provide this to make your life easier. We offer nationwide delivery which means that if you need to hire china London, hire china in Birmingham or indeed anywhere in the UK, our fully stocked depots should be able to cater for your every need. You can take advantage of our professional logistics service which offers you a friendly, accurate and reliable delivery and collection facility, reasonably priced, and providing an efficient service the day prior to your event. Alternatively, you are able to collect your china hire products from our depot if you prefer where someone will always be on hand to ensure that loading and unloading is not a problem. 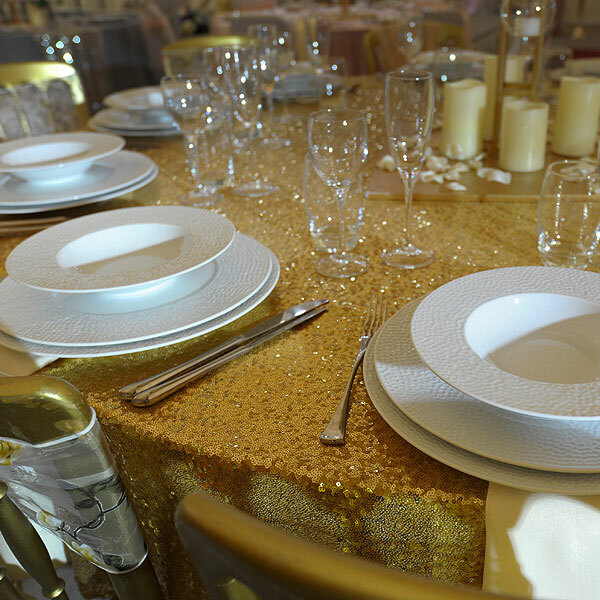 The quality of your event crockery hire products goes a long way in determining the overall look of your table settings. In other words, hire top quality chinaware and it will look stunning. Hire poor quality or cheap crockery and you could be left rueing your decision. 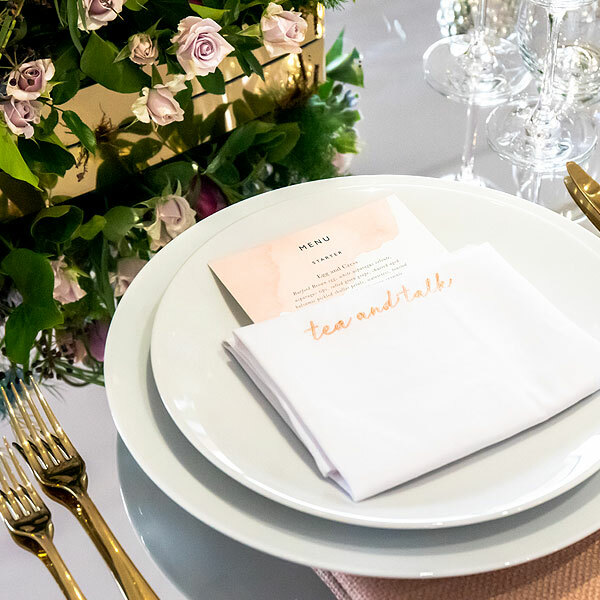 You can be sure that your guests will form a quick impression of your event on the quality of your table settings, and event crockery hire is an essential part of achieving this. 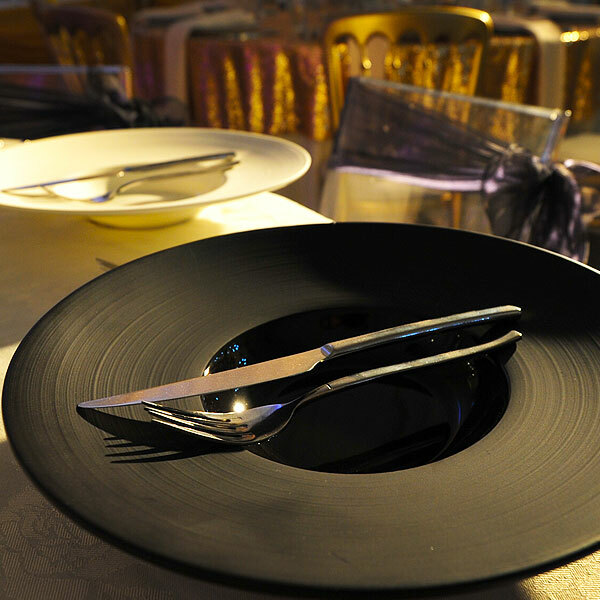 Whether you want to hire white china, coloured china products or black crockery hire, for example, the team at Event Hire UK are sure to be able to assist you. We have the quantities available across our sales and distribution centres to be able to service most event requirements and will take pleasure in being able to provide what you need for your upcoming special occasion. 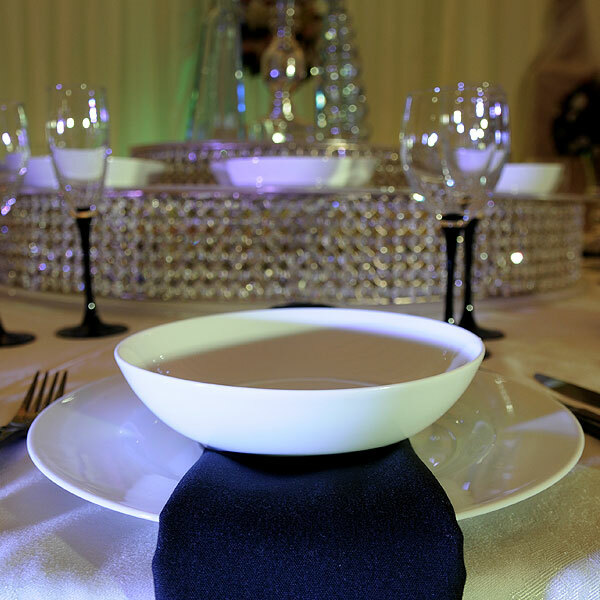 Rest assured, therefore, that if you need to hire crockery in a variety of styles and large quantities, then turn to Event Hire UK as we are sure to be able to help and you will be working with one of the UK's premier crockery hire companies. Why not contact our dedicated and professional sales team today to discuss your event hire requirements - we will be delighted to assist. Our nationwide network of sales and distribution centres means that wherever you are, the chances are that we will be able to provide you with a seamless hire experience, so why not find out for yourself why event professionals up and down the country turn to our valued service throughout the year.